A very typical Riga region suburban train, this ER2 class unit is stopping at Salaspils station on its way to Riga. 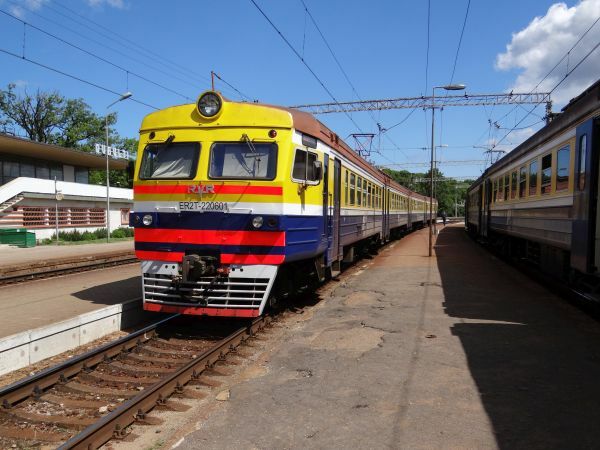 These trains were built during Soviet times at Rīgas Vagonbūves Rūpnīca (RVR) in Riga. They have now been slightly modernised, but do not for example have any kind of air conditioning. 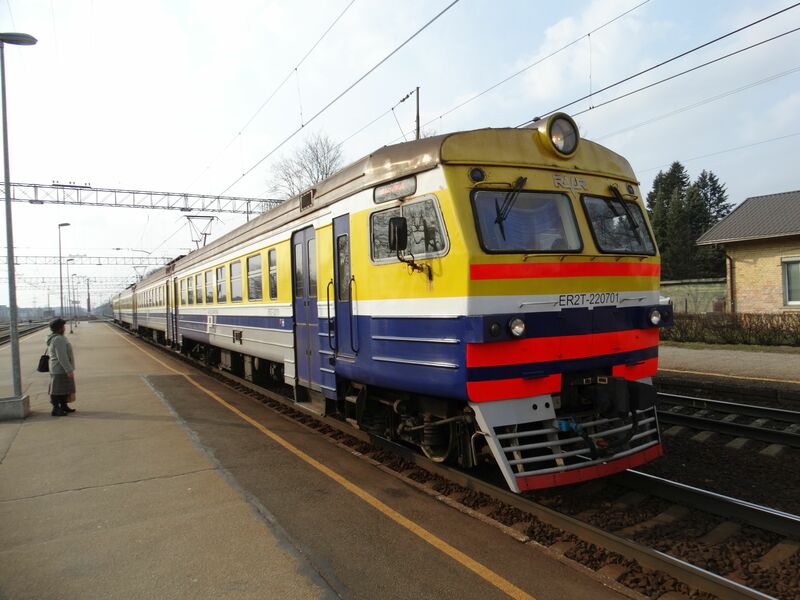 Latvian Pasažieru vilciens has 108 of these ER2 units as well as 23 units of the almost identical class ER2T. Picture at Salaspils 1.4.2017 by Ilkka Siissalo. 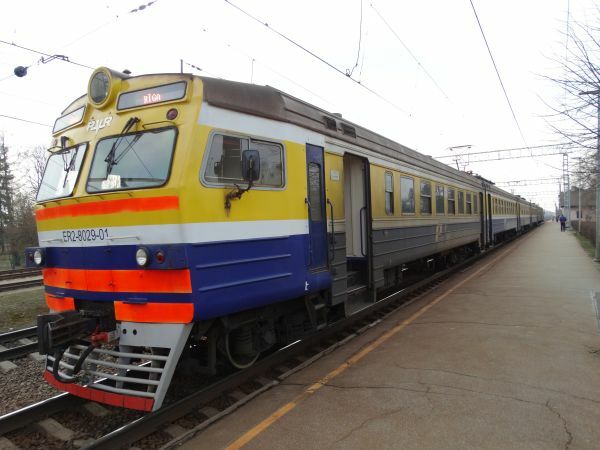 Another view of the same ER2 unit as above. Picture at Salaspils 1.4.2017 by Ilkka Siissalo. Another ER2 unit in full speed. 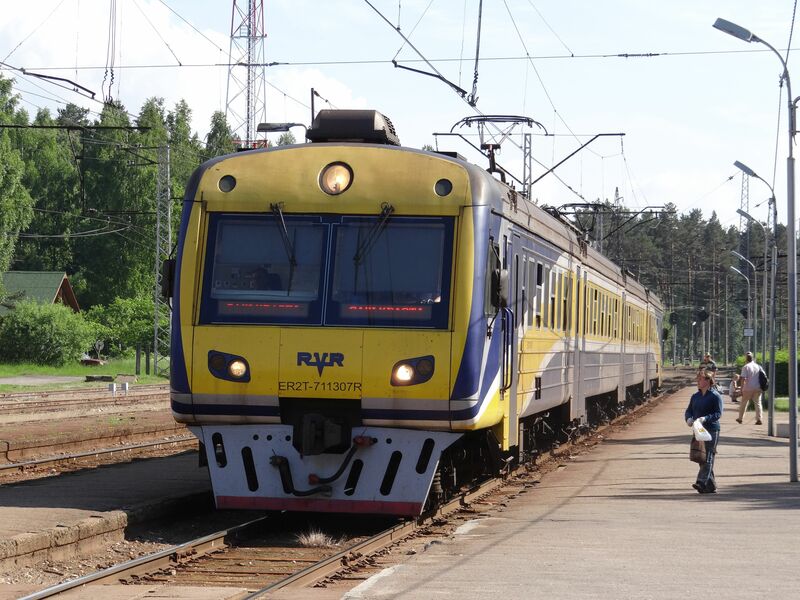 Picture 14.6.2013 in Jurmala by Ilkka Siissalo. 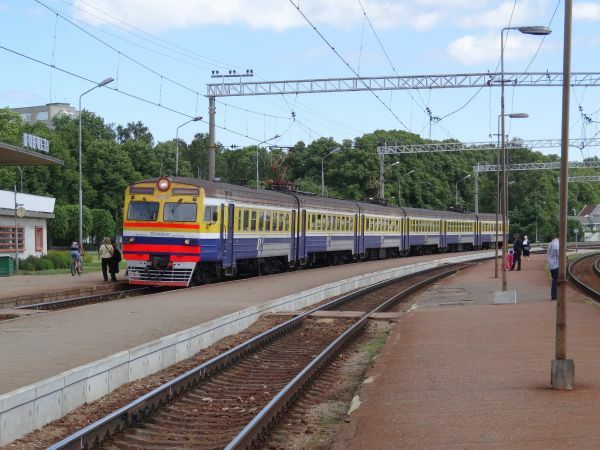 A very Soviet looking train, another ER2 unit is stopping at the Dubulti station in Jurmala. Picture 15.6.2013 by Ilkka Siissalo. 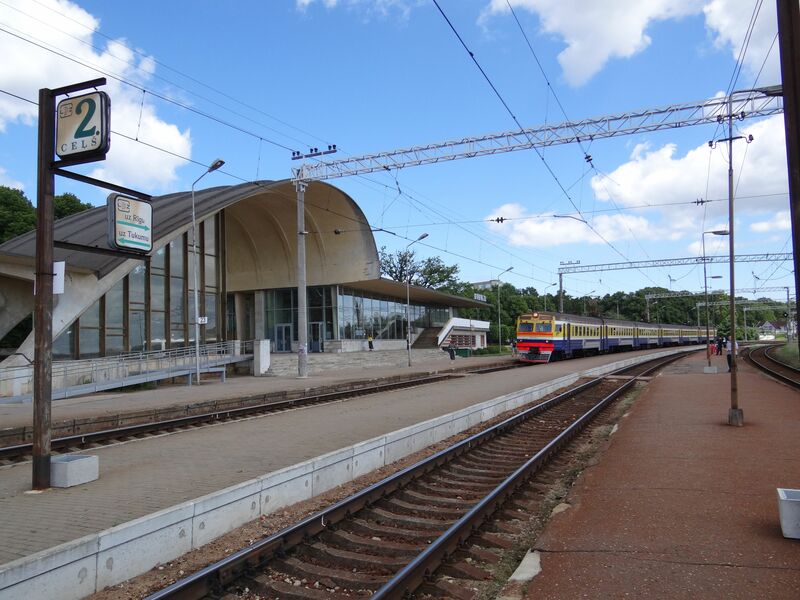 The station of Dubulti was very modern in the beginning of the 1980s. Picture 15.6.2013 by Ilkka Siissalo. 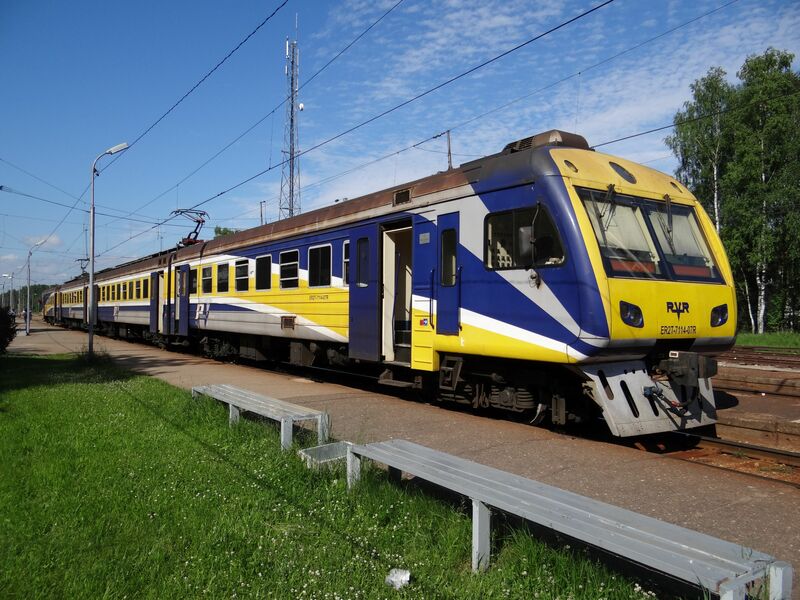 Only a few of the ER2 units have received a more modern drivers' cab which even has air conditioning. 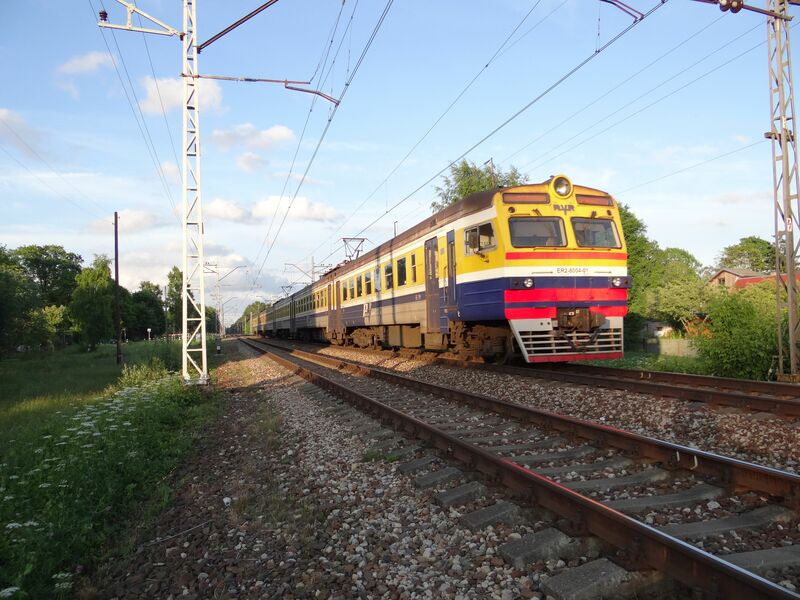 Picture 15.6.2013 at Dubulti station in Jurmala by Ilkka Siissalo. The class ER2T is almost identical to the ER2. One has to look closely to spot some differences - for example the missing destination station displays at the front. Picture 15.6.2013 at Dubulti station in Jurmala by Ilkka Siissalo. Not only the train looks very "Soviet", so do some of the passengers as well. 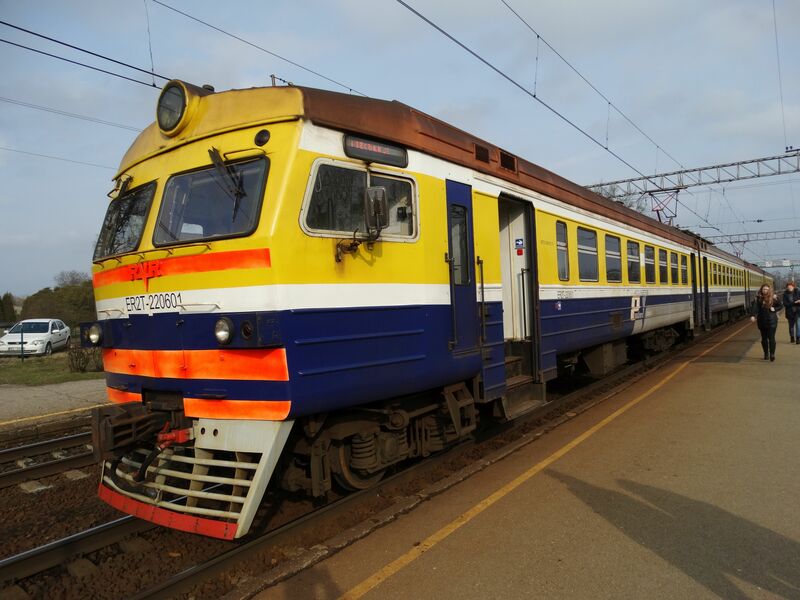 Picture of an ER2T unit at Salaspils station 1.4.2017 by Ilkka Siissalo. 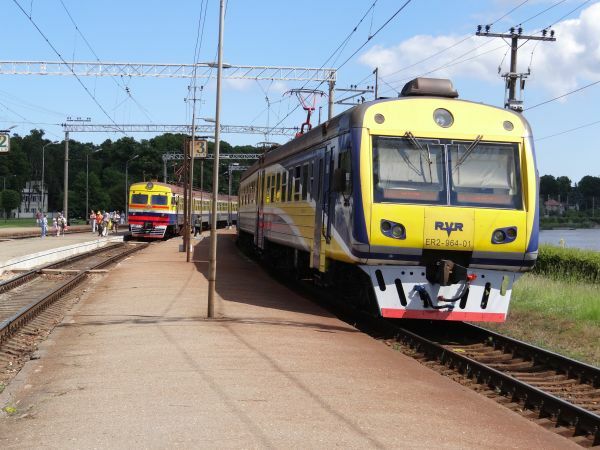 No discussion of any "low-floor" trains in Riga's suburban train traffic ! 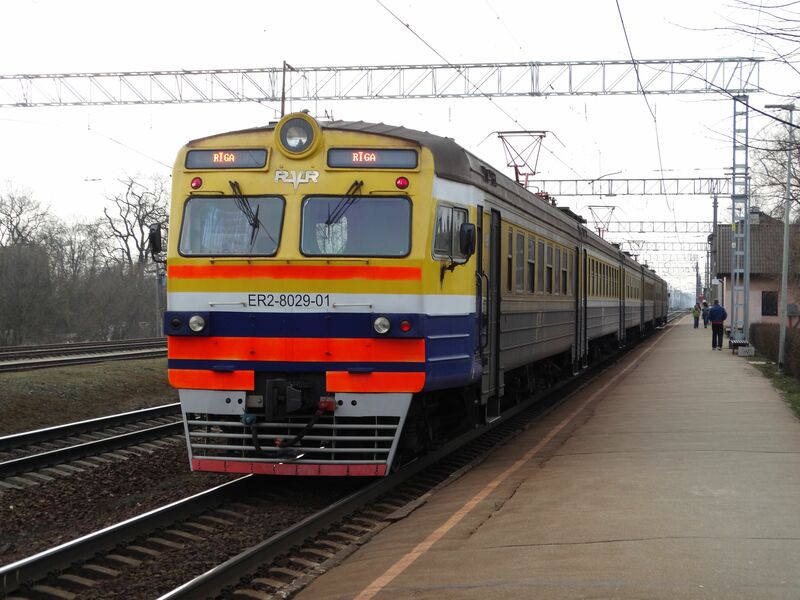 Picture of an ER2T unit at Salaspils station 1.4.2017 by Ilkka Siissalo. One of the ER2T units has received modern driver's cabs with air conditioning. Picture at Skulte station 10.6.2013 by Ilkka Siissalo. 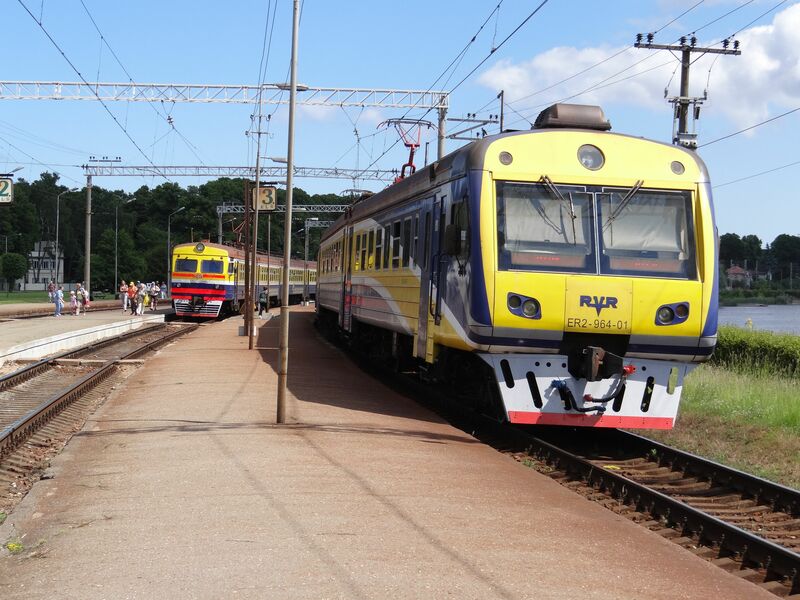 ...now it looks almost like a new train. But it's not :-) Picture at Skulte station 10.6.2013 by Ilkka Siissalo. 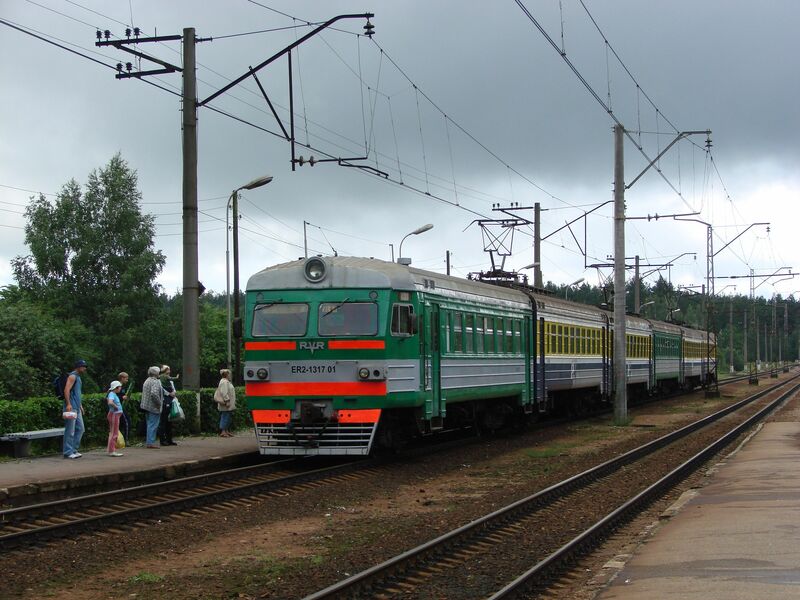 10 years earlier some of the ER2 train coaches were still painted in the Soviet time green and grey paintings. Picture from Carnikava station 4.7.2007 by Ilkka Siissalo.